The Firm is a major player in tax, legal, advisory, risk and strategic consulting in Italy, and Member of Crowe Global, the 8th leading international network of independent accounting and advisory services Firms. 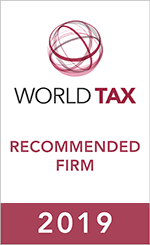 It advises public companies, large and medium-sized enterprises and multinational conglomerates including also SMEs supporting them in every step of their growth and assisting them before tax authorities/ courts of all levels. The firm brings together seasoned attorneys, CPAs, engineers, economists and statisticians who are actively involved in professional organisations, and in the areas of research and academia. The firm has been recognised by prestigious sector-specific awards, and appears at the top of the annual rankings compiled by important research companies. Key reference in the country's tax, legal and advisory sector due to its capacity for innovation and high-quality services, always focused on client needs.